Langhorne Creek - Fleurieu Peninsula Region, South Australia. 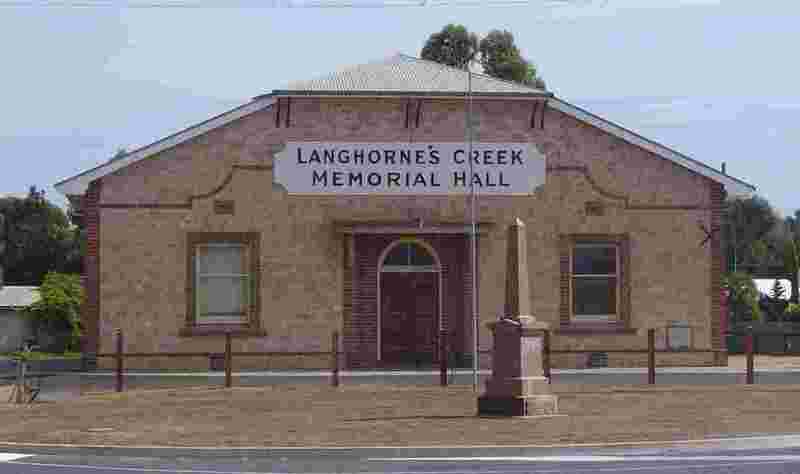 Langhorne was a pioneer who overlanded cattle from Sydney to South Australia in 1841 when the colony was only 5 years old. 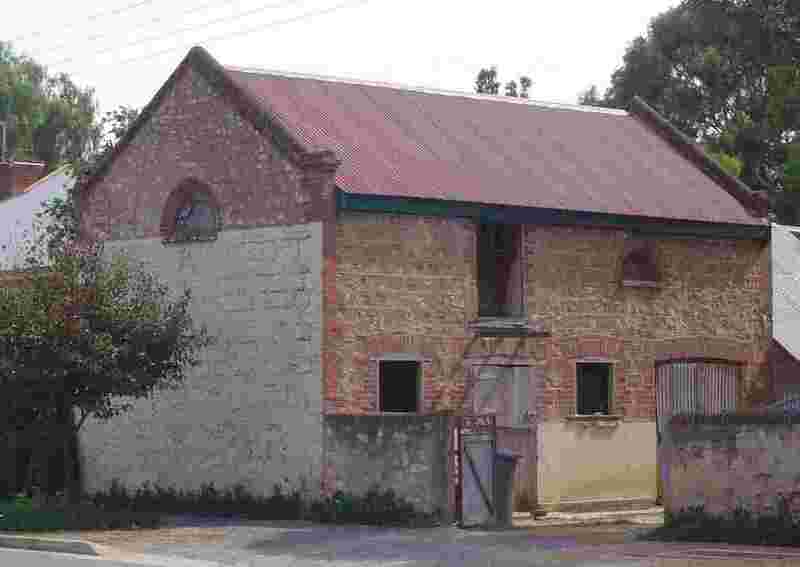 He owned land in the vicinity of Langhorne Creek. 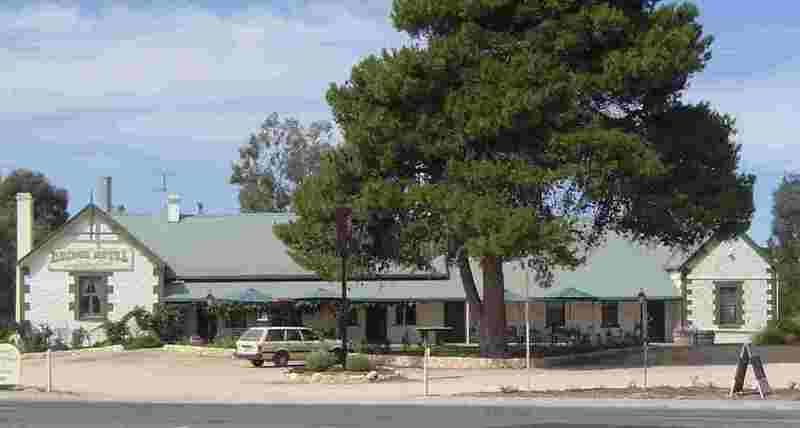 The town lies on the Bremer River which was bone dry when I saw it but nonetheless lined for mile after mile with gum trees. 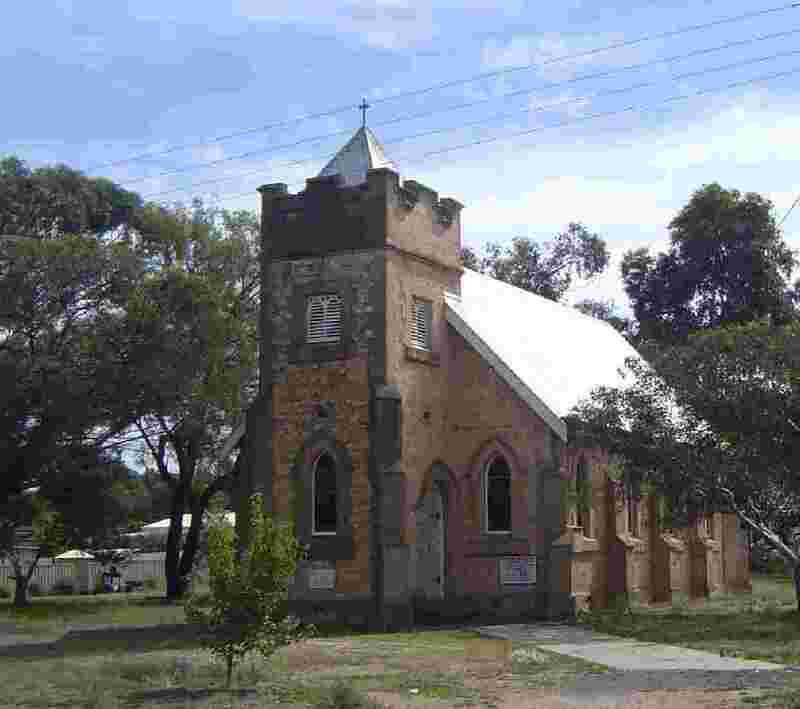 The township was laid out in 1854. 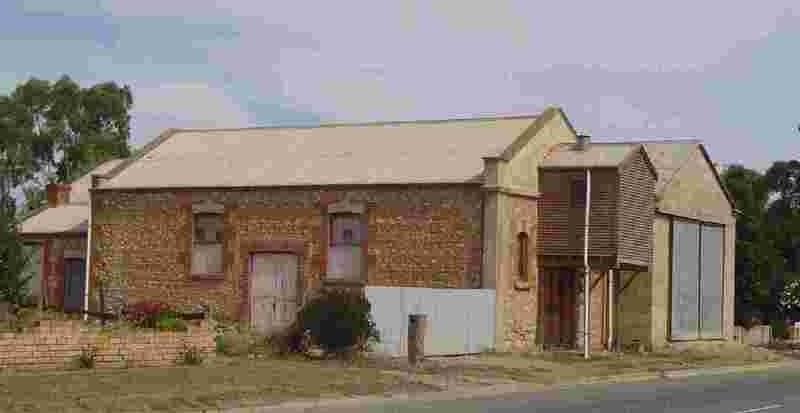 When I visited it in 2005 I had the sense of a town which had once prospered then fallen on poorer times only to be revived by its burgeoning wine industry and its position on the so-called Fleurieu Way, a modern tourist route which links the River Murray at Wellington with the many attractions of the Fleurieu Peninsula. The wine industry dates back to the early days and benefited from the waters which periodicaly swept across the rich flood plains. The town is dominated by the Bridge Hotel and the Memorial Hall but there are many interesting stone buildings and dwellings as well as a delightful picnic spot by the River. A pity that most of the traffic I saw seemed determined to rush through rather than joining our picnic under the gum trees !